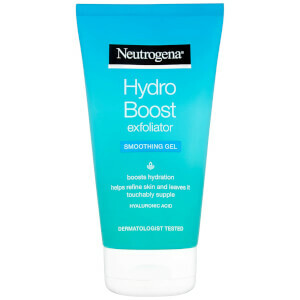 NEUTROGENA® Hydro Boost® City Shield hydrating lotion SPF 25 boosts hydration and strengthens skin's defences: formulated with hyaluronic acid, this lotion not only replenishes skin with a boost of intense hydration, it also strengthens the skin barrier day after day so it can actively defend against external aggressions. The formula helps to defend skin against pollution and preserve its youthful glow. It protects against sun damage: developed with Helioplex® that delivers superior protection against harmful UVB and UVA that can cause premature ageing. 77% of women noticed their skin was more radiant with daily use. 100% of women agree Hydro Boost® city shield has an ultralight texture. *Self-assessment, 35 women, twice a day usage during 22 days, 2015. Apply every morning with circular movements as the last step of your routine. Its ultralight and non-greasy texture is ideal to use as a base before make-up. [PR-018116], Aqua, Glycerin, Homosalate, Caprylyl Methicone, Ethylhexyl Salicylate, Butyl Methoxydibenzoylmethane, Phenylbenzimidazole Sulfonic Acid, Octocrylene, Sodium Acryloyldimethyltaurate/VP Crosspolymer, Silica, Sodium Hyaluronate, Tocopheryl Acetate, Dicaprylyl Carbonate, Glyceryl Stearate, Steareth-21, Sodium Polyacrylate, Disodium EDTA, Sodium Hydroxide, Sodium Ascorbyl Phosphate, Tocopherol, Benzyl Alcohol, Chlorphenesin, Phenoxyethanol, Parfum, CI 16035, CI 42090. Why is this a separate product? I have only just found this product but so far so good. However, I am a little annoyed about having to buy an extra product when the moisturisers should come with an SPF 25 as standard. While I love the moisturisers, I was puzzled by this. 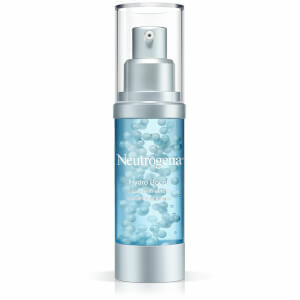 I think the Neutrogena Hydro Boost City Shield is a great product. I like the brightly coloured packaging of this lotion. Also, it's light weight and easy to carry for travelling. At first, the light blue colour of the cream was a little alarming, but as soon I used it, the cream blended well and there was not even a hint of blue left! I It moisturises my skin well and keeps it hydrated. You only need a small amount of the cream to cover your face. I was surprised at the texture/thickness of the cream. I've found that face creams with a high spf are usually heavy/sticky but this was far from that. It was easy to spread and was a good texture - it wasn't too thick but it wasn't watery either. The packaging describes the hydrating lotion's texture as "ultralight and non-greasy". That is 100% spot on! I liked the smell of the cream too - it was very refreshing and not too strong. I will definitely be buying this cream again and adding it to my daily routine. I will also be recommending it to friends and family too! I have been using hydro boost city shield for 8 days now and I've really noticed an improvement. I live in the countryside but I work on a really dirty horrible industrial estate and I have started o take this cream to work and put on when I go for a walk at lunch! The cream is smooth and very nice to apply as soon as it's on you feel like you have moisture boost! My skin feels protected however it is a little heavier than what I'm used to. It's no greasy and leaves my skin feeling silky and protected. I've started to put it on my hands! The packaging is attractive and easy to follow instructions. My skin feels lovely after using it and I'm noticing that belemishes are not as visible especially after an active walk the redness appears reduced! I have been using this product for nearly 2 weeks now and I have definitely noticed a difference. My skin is much softer, feels smooth and feels more hydrated. My skin gets very dry during the day and starts to feel tight. I have not noticed that with this product. I use more cream around my nose as it is the area that gets the flakiest. The cream is not greasy and feels light on my skin. I love the fact that it contains SPF as it provides extra protection. I also like the fact that it is blue. Don't worry, the cream blends into your skin easily and doesn't stay blue. I like the light smell of the cream as it isn't overpowering and doesn't have a strong sunscreen like smell. The redness on my skin appears reduced, as do my blemishes. I will definitely be recommending this friends and family and I will be adding it to my daily routine. As someone who has dry sensitive skin I'm usually wary of trying new products on my face. This however despite having quite a strong but fresh smell didn't irritate my skin at all. It left it feeling soft and moisturiser with no heavy residue left over. I was also pleased that it has spf factor to help prevent any further damage to my skin. Great product for dry, sensitive skin! 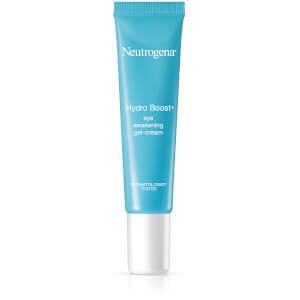 I have been using Neutrgoena's Hydro Boost in the morning as a primer before applying my make up and I have noticed a huge difference in the softness of my skin! The product is keeping my skin well hydrated and combatting against dry patches which is great. 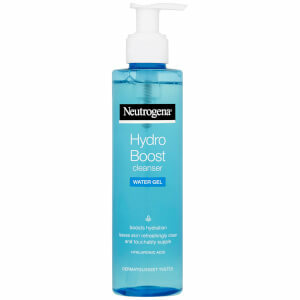 The Hydro Boost lotion smells really fresh which is great first thing in the morning and it is so simple to apply; I use my fingers and apply using a circular motion as advised. I have very sensitive skin and I feel that occasionally, in particularly irritated areas, this product can sting a little but overall, I would say that this product is suitable for sensitive skin types. I will continue to use Hydro Boost over a long period of time as I live in a City and I am interested to see if the results continue however, at this stage, I am impressed with what I have found! I didn't have the greatest of expectations for this lotion as normally anything with SPF is just too heavy for my face. When i first put it on it seemed thick, but soaked in great and didn't leave any sticky residue etc. I have very sensitive skin on my face and although there was a light fragrance, it didn't irritate in any way. The packaging is ideal as its slim so fits nicely in the makeup bag. I normally stick with a moisturizers and i think i would definitely re-purchase. Great for a dry skin. Light texture. Skin feels soft and hydrated. Works well with make up. Before using it my skin was very dry. Has a nice smell too. Such a big difference just after one use. Would recommend to anyone with dry skin problems and to those with first signs of wrinkles.